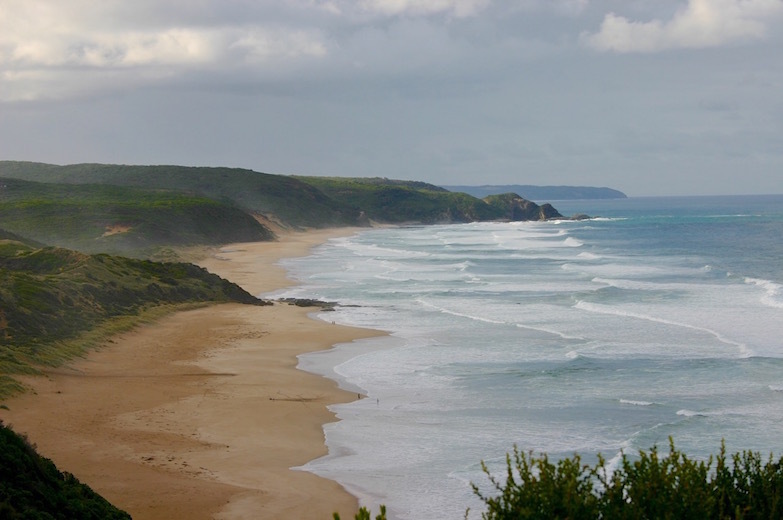 Australia’s Great Ocean Road is well known nationally and internationally for being one of the best coastal drives in the world but what is too often overlooked are the beaches. Everyone has heard about the 12 Apostles but what about that spectacular beach right next to the Apostles? Gibsons Beach – this beach is as much a must do experience as the 12 Apostles. To get to this beach you have to walk down steps which have been cut into a sheer cliff face which is very exciting and the walk along the beach itself is staggering. Don’t miss it! As with the Apostles you may have heard about the main seaside resorts but you have probably heard little if anything about their beaches. Every seaside town without exception is blessed with its own version of a picture perfect beach and there will also be one either side and in the near vicinity. The Great Ocean Road really is beach heaven. 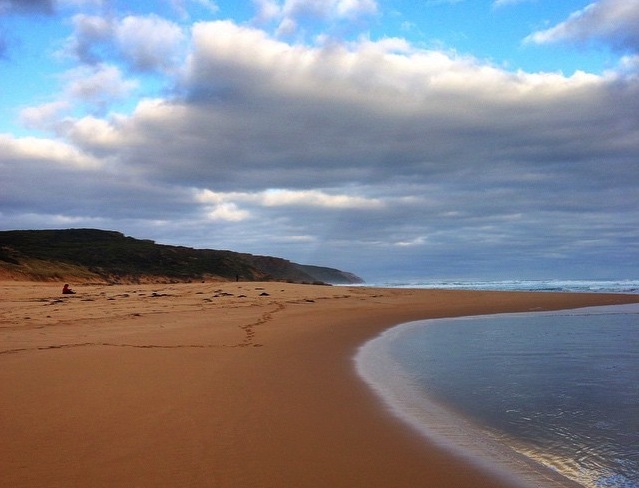 Who knows how many Great Ocean Road beaches there are? Is a small inlet a beach? Is a rivermouth where you can fish or swim a beach? You can make up your own mind as you will be driving by beach after countless beach. In the information below you will find some photos of the more well known beaches but rest assured that this is only the beginning. Don’t forget your bathers! 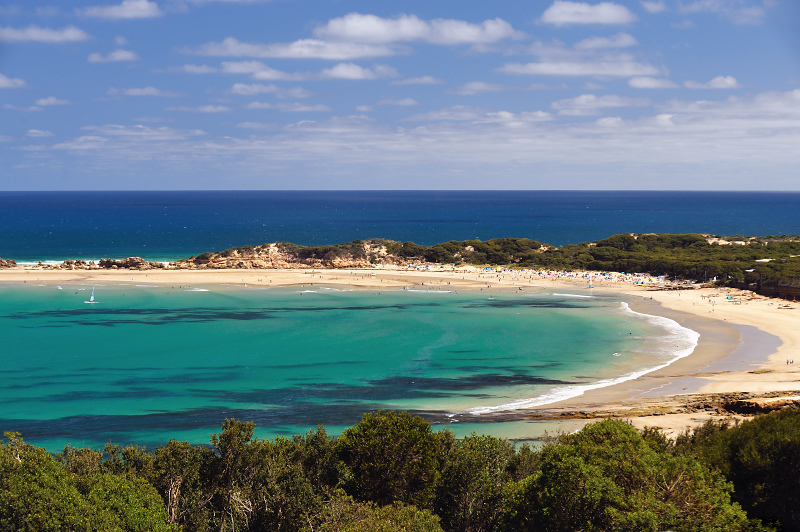 Your journey along the Great Ocean Road in search of the perfect beach begins in Torquay. This is the back beach at Torquay. It’s the most popular beach in Torquay as it is patrolled in summer and is generally regarded as a very safe swimming beach even though there is almost always some wave activity. If you want to learn to surf this is the place. The waves here are quite gentle and roll on slowly over a long distance. You can hire surfboards from the local hire shops near the beach. 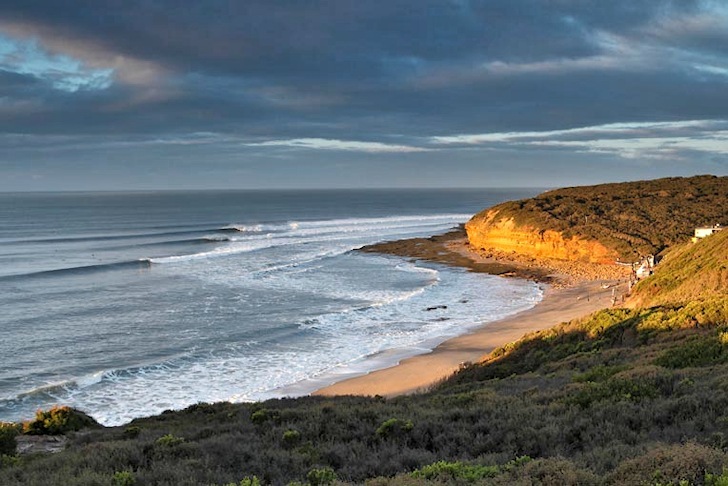 Bells Beach is about a 10 to 15 minute drive from Torquay. This is Australia’s spiritual home of surfing and the whole area is a recreational surfing ground. The world surfing titles are held at Bells Beach every Easter and this is also the time of year when massive ocean swells can roll in. If you are here during this time you must stop in and have a look at Bells. Bells is also a great spot for a walk – just follow the tracks. Please don’t try and swim here. It is very dangerous. Anglesea Beach lies next to the mouth of the Anglesea River and fronts the town of Anglesea. Parking is available at the river mouth, which is almost always closed, off the Great Ocean Road and at the surf club. The beach gets small waves which makes it an ideal place to learn to surf. The larger ocean waves are reduced as they bend around Point Roadknight, which is also a spectacular beach.The beach is fairly safe for swimming but it is always recommended not to swim anywhere unless it is patrolled. Fishing can be good if the river mouth is open. 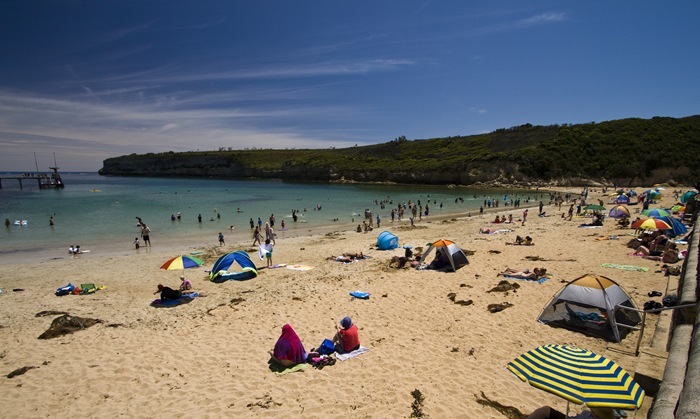 Aireys Inlet Beach has always been a big favourite with families. There are a few beaches here but the only readily accessible beach is the main Aireys Inlet Beach, which is located at the mouth of a gully. It has a small car park and steps down to the beach from the end of Eagle Rock Parade. The beach is 500 metres long and is bordered by 20 metre high headlands and rock platforms. The surf on this beach can have a dangerous rip so please make sure you swim between the flags. Surfing is possible on a few reefs nearby the beach and the fishing is good. 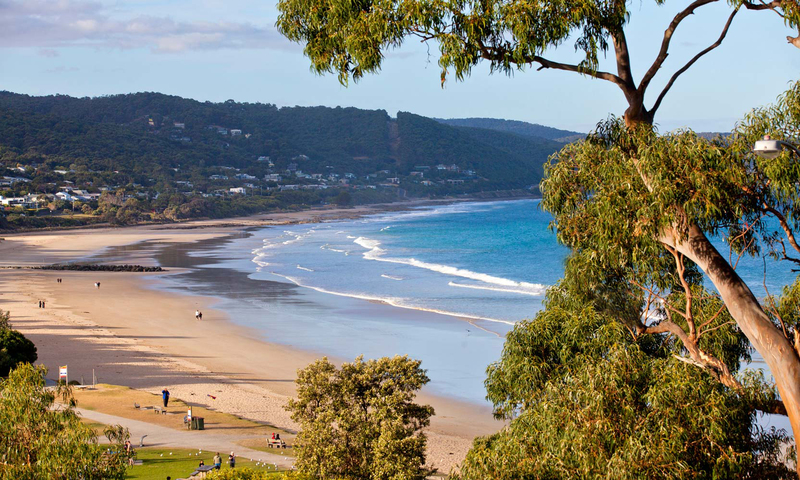 Lorne has long been known as Victoria’s premier seaside resort – and for very good reason. The beautiful town of Lorne overlooks Loutit Bay which is protected from the harsh westerly winds and affords the bay and beach a very pleasant and safe harbour. Lorne is where the bush meets the sea & what a beautiful sea it is. Lorne has a number of beach areas but the main beach right in front of the Surf Lifesaving club is where everyone swims. This is the only partrolled area and it’s always wise to swim between the flags. You can also learn to surf here. There is a number of surf shops in town which offer learn to surf programmes and if you’ve surfed before you can hires surfboards. If you’re a fisherman you are in for a real treat. Lorne pier is a sensational spot for fishing and you can catch all types of fish. 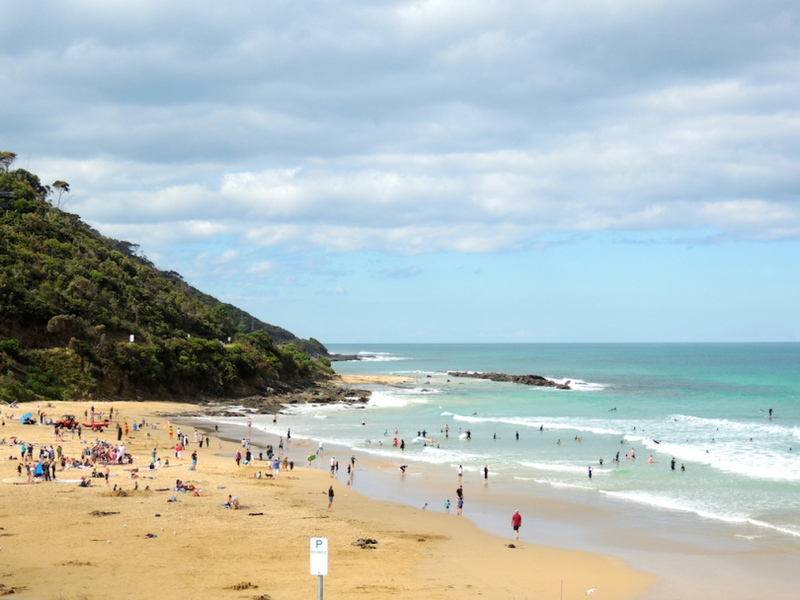 Wye River is one of the most popular beaches along the Great Ocean Road. It’s a wide sandy beach with rocks and rockpools at low tide which is great fun for kids. It’s safe for swimming and has Lifesaver patrols during the summer holiday season. Surfing is also popular here for beginners as the waves don’t get too big. The Wye beach still has some pylons from the old pier that was used to transport timber to the boats in the early 1900’s. The section of the beach away from the BBQ and toilet area is dog friendly all year round. The local pub is a nice spot to sit and relax and has uninterrupted beach views. Kennett River has a well protected beach and is one of the best surf spots along the coast when the wind is onshore. The surf though is gentle and a good option for beginners. Swimming is generally safe here and the beach is patrolled in summer. The section of the beach towards Wye River is dog friendly all year round. A top spot. 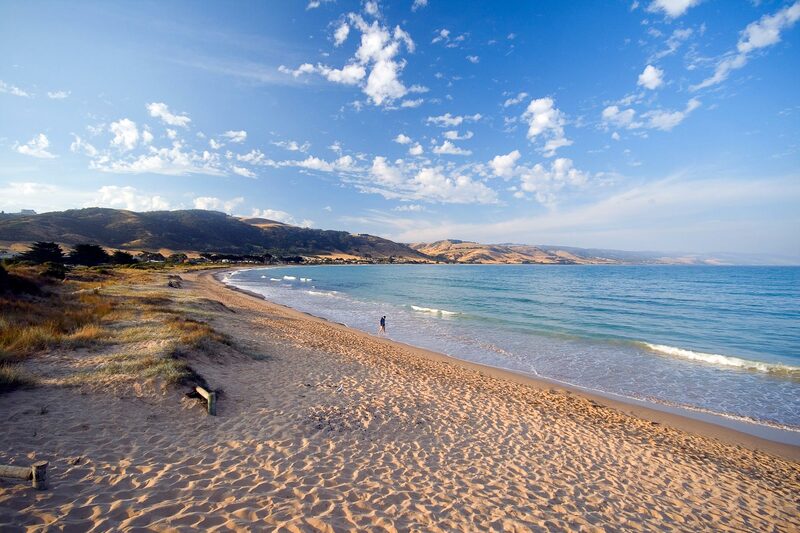 Apollo Bay is known by the locals as paradise by the sea. As you can see from this photo there is good reason for this name. Apollo Bay has a glorious beach. It’s long with soft, white sand, is safe for swimming, patrolled in summer and allows dogs in certain locations. It sometimes has small waves which are perfect for those wanting to learn to surf. You can hire surfboards from the surf shops directly across from the beach or you can join one of their learn to surf programmes. Fishing is also OK at times. Johanna is quite possibly the most beautiful location along the entire Great Ocean Road – and it has a beach to match it’s reputation. 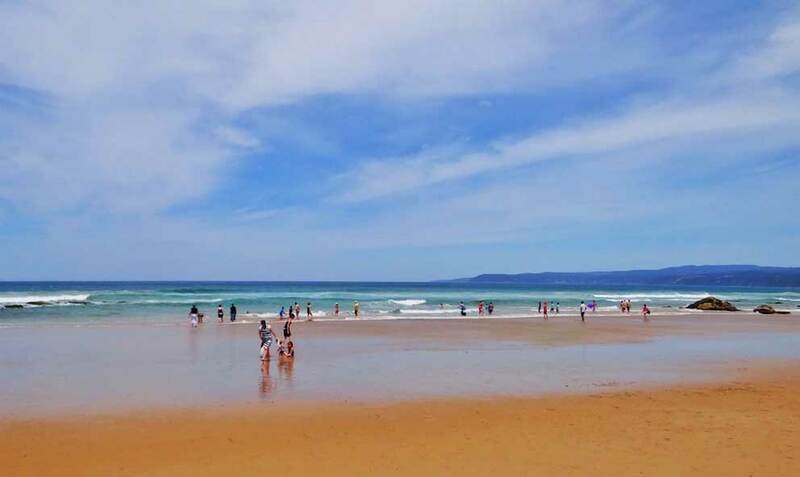 Johanna Beach is a few kilometres in length and is divided into three beaches. The main two beaches are easily accessible but the third beach – the most westerly – is only accessible at low tide and if the swell is small. Johanna attracts large waves and is not suitable for swimming. It has very dangerous rips and is not a patrolled beach. Johanna River however, which runs out at the beach is shallow and great fun for swimming. There are also rock pools which afford fun for the whole family. 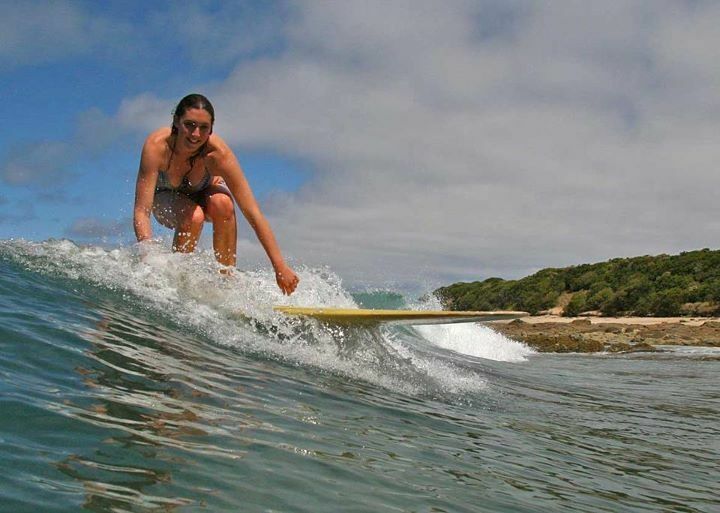 Fishing is excellent here and Johanna Beach is known as one of the best surfing spots along the coast. Princetown Beach takes a bit of effort to get to but is well worth the reward. Sometimes known as Cliftons Beach, this is a beach where you will almost certainly be alone or have limited company. Turn off the Great Ocean Road at Princetown and drive as far as you can before you come to the sand road. This is where you park and you have to walk around the estuary to arrive at the beach. This in itself is a lovely walk. The Gellibrand River runs out at Princetown Beach and offers good fishing for the adventurous. You should not swim here. It can be quite dangerous with hazardous rips. Loch Ard Gorge is one of the best stop offs on the Great Ocean Road – and it happens to be right next to the 12 Apostles. 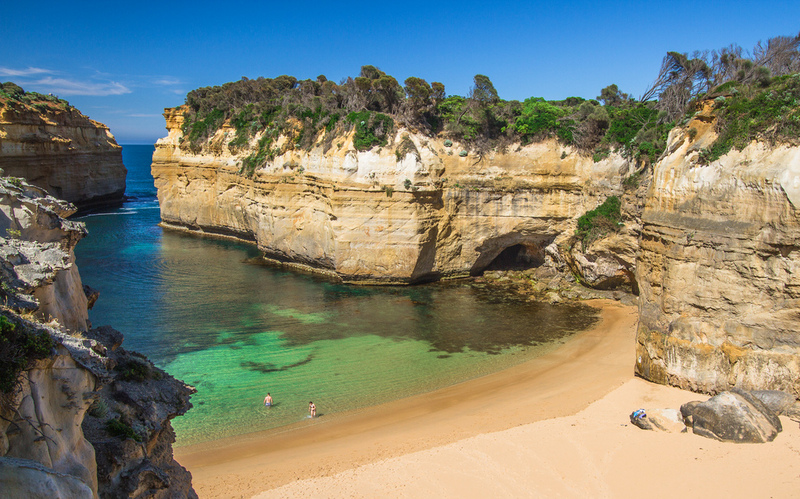 Three easy walks have been developed by Parks Victoria at Loch Ard Gorge so you can find out all about this fascinating location and the areas’ natural treasures. Interpretive signs along these walks reveal the fascinating stories about the area’s history, geology and natural features. The gorge is named after the Loch Ard which was wrecked with only two survivors. You can find out all about it as you walk around the gorge. The inlet here has a small beach which is protected from the ravages of the ocean and on certain days with fine weather this is a great place for a swim. The beach at Port Campbell is patrolled in summer and is one of the very few options for swimming along this treacherous Shipwreck Coast. Very small waves on occasion make this a top spot for the family. You can also watch the local fishermen lower and raise their fishing boats from the small pier in this inlet. 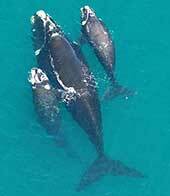 Warrnambool is the biggest town on the Shipwreck Coast and is a popular holiday destination for families. 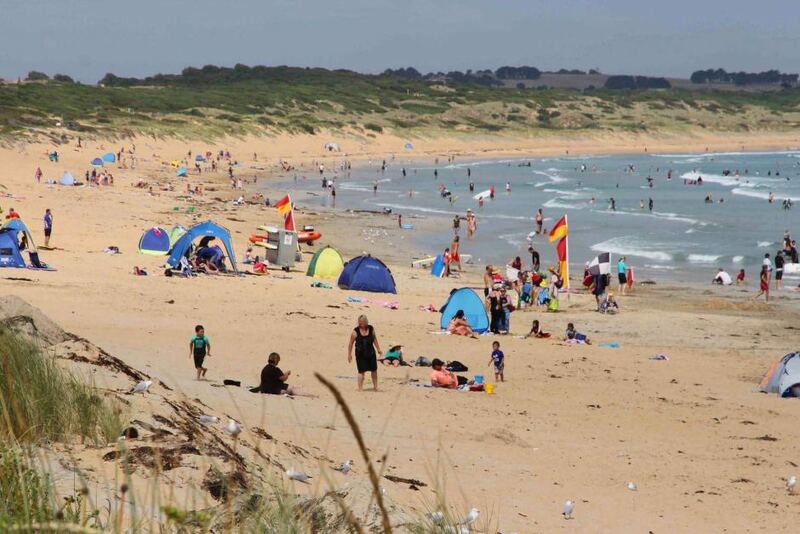 Warrnambool Beach offers fairly safe swimming and beginner surfers a safe spot to learn on what is a very exposed coastline that is consistently battered by large waves. The western end of the beach, between the surf club and the breakwall, offers fun, small waves for beginners, even during massive west swells. Like most beaches along this coast the fishing is good at times. Fishing is fishing. 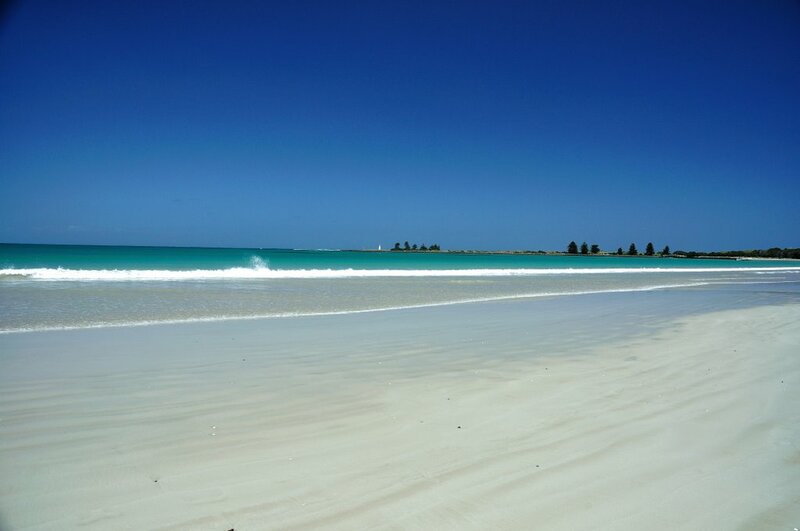 East beach in Port Fairy is a picture perfect kind of place. On a sunny day the brilliant azure colour of the ocean contrasts superbly with the dazzling white sand. Could very well be a post card of some tropical destination. East Beach is generally not a crowded beach and is patrolled in the summer months. Always swim between the flags. This site includes the location, facilities, weather, conditions and lifesaving services for beaches. Beachsafe also provides expert advice about flags and signs – what they mean – waves, rip currents, marine creatures, surf skills and more. 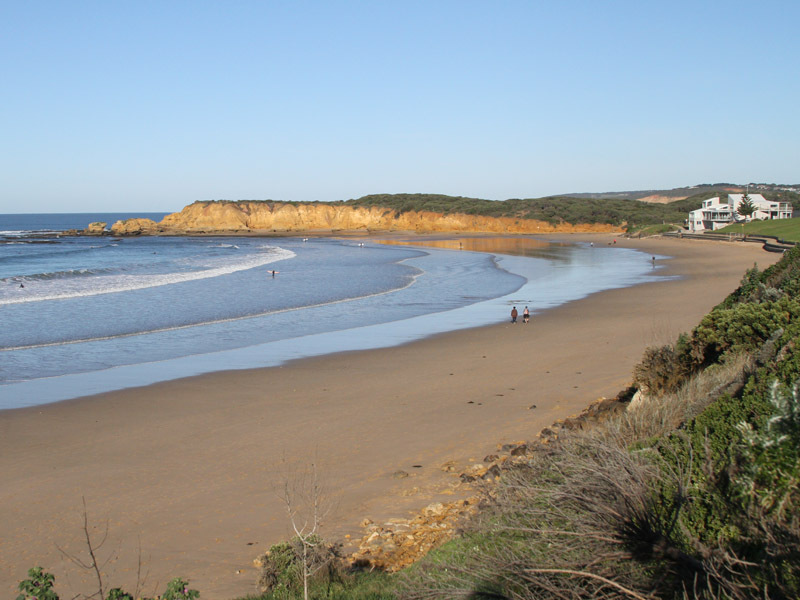 If you intend to spend some time at a beach on the Great Ocean Road you should check this site just prior to arriving.